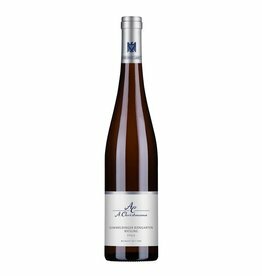 The Königsbacher Riesling by Christmann is in a sense the second wine of the Idig GG, from one of the best vineyards in the Palatinate. 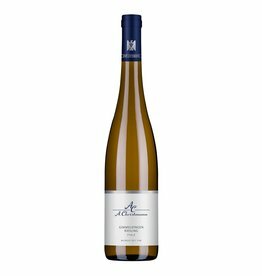 The Königsbach Riesling is made from ripe grapesof the second and third harvest and from younger vines that are not yet suitable for the Grosses Gewachs. So it has much of the legendary complexity and depth of the Idig, characteristic is also the elegant fruit acid of the wine, which never tastes sour. It is fermented only with natural yeasts, after maturing in stainless steel and in traditional wooden barrels, the wine is bottled unfined. James Suckling is excited (as we are) and awards 93/100: Beautiful, fresh, exotic-fruit nose and a great combination of juiciness and freshness. Long, chalky finish. From biodynamically grown grapes. Respect certified. Drink or hold.